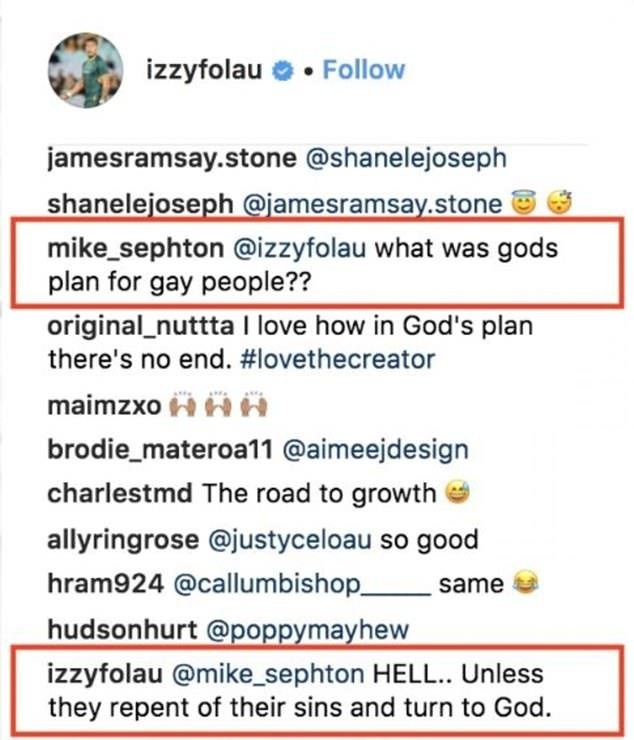 Rugby player Israel Folau has a history of posting homophobic and transphobic comments on social media. Up until now, the 30-year-old athlete has pretty much gotten away with it, only receiving warnings and no sanctions placed upon him. It appears his anti-gay rhetoric has finally caught up to him. The New South Wales Waratahs player shared an image on Instagram Wednesday, warning drunks, homosexuals, adulterers, liars, fornicators, thieves, atheists, and idolaters that “hell awaits you.” “Jesus Christ loves you and is giving you time to turn away from your sin and come to him,” he captioned the image. Just a day later, Rugby Australia and the New South Wales Rugby Union have dumped the homophobic athlete. It’s about time. Read statement below.